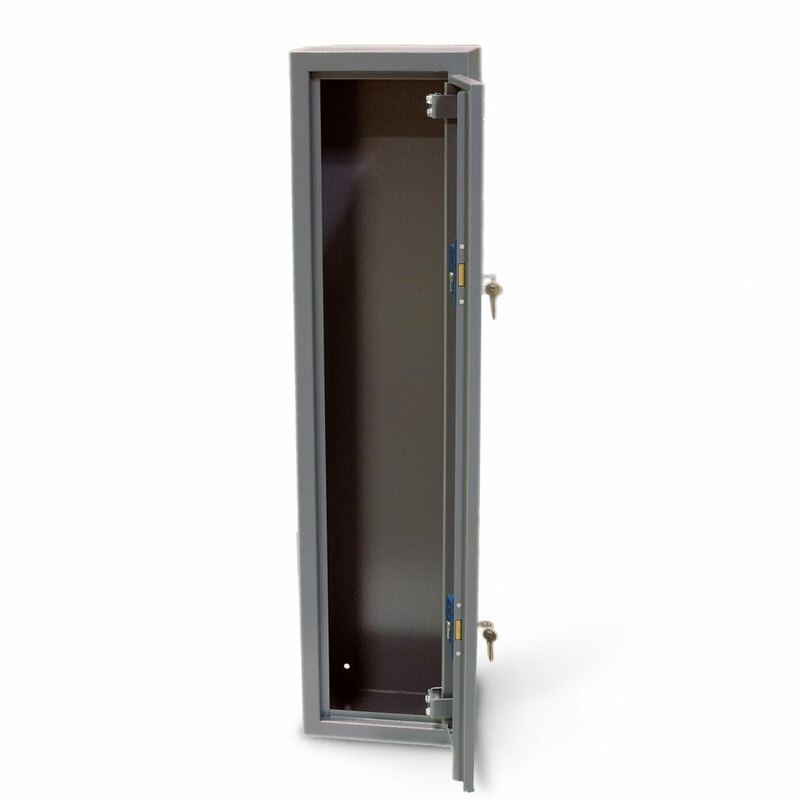 This 5 gun shotgun cabinet securely stores five full length shotguns and is fully compliant with the Home Office and the Police requirements for the Storage of Shotguns within the United Kingdom. Featuring concealed hinges and a high quality Yale euro profile cylinder lock, this shotgun cabinet is a secure and approved place to store your shotguns safely. Manufactured in the UK from 2.0mm thick mild steel, these shotgun cabinets offer a high quality storage solution at an affordable price. All shotgun cabinet prices include delivery to a single UK mainland address. Three keys supplied with each lock. Concealed adjustable hinges welded securely to the cabinet body. 2mm thick steel used throughout construction. Door features interlocking folded anti-jimmy return. Finished in a durable grey Hammerite polyester powder coating. This is a full length shotgun cabinet which has been designed for the storage of shotguns in the UK. This shotgun cabinet as all our shotgun cabinets meets the Police and Home Office requirements and British Standard 7558. There are no racks or padding in this cabinet as it is designed for the shotguns to be stored in their case as shown in the image. If you would like any further information on our range of shotgun cabinets, please do not hesitate to contact us. Shotgun cabinets manufactured in Great Britain.